The owner says that this 4 month old website already gets about 1400 views a day. One of the main features are free real estate listings. You can sign up at this website and post your properties. It is 100% free and will get your real estate some great exposure. Excellent post about helping sellers determine a fair market value. Something is only worth what you can actually get for it. Thank you for taking the time to write this and share with us all. Here is good information for home sellers and listing agents to consider when determining a fair listing price. The listing price is not determined by how much your seller owes, (but you do need to know this information to determine if they are upside down, and may need to consider a short-sale, also be sure you ask if they are current or behind on their mortgage payments) what your sellers thinks they need out of the property or from a recent appraisal even if it was done just a few months back. So How Much Is My Home Worth? 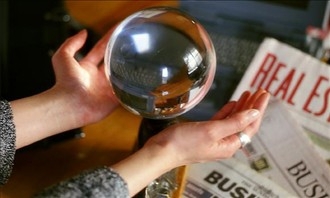 Well, if someone can tell you what is it worth to the exact penny, they must have a crystal ball! My answer is…whatever the average home buyer today is willing to pay! Yes, we can look at recent sales of “comparable homes” and study or view the active listings that appear to be of like style, quality, and features. And in the end the best we can do is give a close price range of low and high prices. That’s because every house is different and unique and the real estate market is in a state of flux, with the good news and the bad news, with the higher gasoline prices and the lower prices. Home buyers are only willing to pay what other similar homes have sold for recently. They will not overpay for a home, especially in this market. If you price your home at the top of the market, you are only helping your competition to sell. Recent home improvements while they may add value – the home seller cannot expect a dollar for dollar return. Kitchens and baths will add the best return on investment amount, but finished basements, and add on rooms will not return a seller the amount they spent for the upgrade. Be sure that your sellers have the home market ready and have a “wow factor” when determining the sales price! You have to be priced better than your competition or at least a good as the other “best” homes on the market, and certainly much better than the ones that are overpriced and not selling. If a seller has to be somewhere else in 3 months or so because of a job move, by all means, do not let that home sit vacant on the market. Price it to sell. Actually, every seller should consider this…..What will it take to get an offer on my home within the next 30 days? Any home price that does not accomplish this goal, will lead to a lower net sales price when it comes to the closing. Why? Because days on the market will lead to a lower sales price in a declining real estate market, among other factors! No one wants to buy yesterday’s donut and pay full price. They want the new fresh donut on the market. It is time for all agents to know their market numbers! How many homes are on the market? What price ranges are selling the best? How many homes in different prices ranges are selling each month? What is the average day’s on the market in your area? Where is the new construction being built in your area? What price range of new homes are selling the best? How many inventory homes are the builders keeping on hand? How many new homes are they selling each month? Anyway, it is a great day to be in real estate and it is full of opportunities. Go and be a blessing to someone in need today! New on the market. Well built 1240 sq ft home on 20 acres. Den could make second bedroom. Very usable well treed property borders creek filled pond. Wildlife galore! Neighbors are seasonal and range between 960 acres to 25. Covered rv parking, wood shed, tree house and shooting range. Bring the horses. All of my life I have been very independant. I have built several homes, I cut and split my own firewood and I if something came along that needed to be done, I simply did it. Some friends and I were talking about the down turn in the economy and counting our blessings that we are still doing ok. The conversation came around to how we could do our little part to help out. We decided that we would hire a local to do some chore once a week. With winter coming I have been busy making sure that everything is tucked away for the winter. I put an ad at the post office. I had a call within 20 minutes and I hired the young man, to come in and give me a hand. We winterized the boat, picked up twigs that might later get caught in the snow blower, seeded some areas so grass would grow under the snow, moved some fire wood and pulled the garden. I was thrilled to have all the little stuff out of the way. Today I found out just how quickly karma can swing around. That young man stopped at the store to buy some food for his young family. He came across a guy that he told his good fortune to and the guy suggested that he pass it on by helping out at can drive. The young man went to the can drive and met a man who was down on his luck and he gave him $20 for the gas tank so he could apply for a job. That man got the job and related that he was grateful for the job and how he had come to get the money so he could come for the interview. His new found boss had friend that needed a handyman for his sister and the brother hired the young man that helped me. The sister that he now works for wanted to sell a piece of property but didn’t know who to turn to. She called me yesterday to list her property and to tell me the chain of events. Was appraised for 270k 4 bedroom home in a great neighborhood has a landscaped fenced yard, 16×20 shop w/ a 16×12 lean-to, and a 2 car heated finishedattached garage. Office Master bedroom with master bath with jetted tub, vaulted ceilings, wood stove, and a wrap around porch/deck. Located on a pavedstreet close to town. Short Sale Very well built custom home with deeded waterfront access to Pend Oreille River. Hardwood floors, custom cabinets, chef’s kitchen, hydronic heat, lovely master suite, and a great deck for entertaining. Situated on 1.5 acres, very private, and steps to the water. Quality home boasting a panoramic view from Lake Pend Oreille to Schweitzer ski resort. Spacious 4.8 acre home site backs up to 150 of BLM land and justminutes to the Idaho Club. Home features 3 bedrooms, 2.5 baths, 3 car garage and a 36×48 shop with lake views. Spectacular acreage with an income producing orchard of over 200 apple, cherry, peach, plum, pear and nut trees, not to mention the 400-500 bushes of blueberries, raspberries and strawberries. Gorgeous views of the surrounding mountains, the house is tucked back and features 4BR/2BA, with a recent addon of a family room. There is also a guest cabin, shop w/ wood stove, and hay producing fields.